The job of these nerves is to deliver signals about physical sensations back to your brain. The disorder is uncomfortable, but treatments can be very helpful. The most important thing to determine is whether peripheral neuropathy is the result of a serious underlying condition. Symptoms of peripheral neuropathy can affect one nerve group or all three. These symptoms can also indicate other conditions. Make sure you tell your doctor about all of your symptoms. People who have a family history about causes of peripheral neuropathy are more likely to develop the disorder. However, a variety of factors and underlying conditions may also cause this condition. According to the University of Chicago’s Center for Peripheral Neuropathy (UCCPN), nearly 60 percent of people with diabetes have some sort of nerve damage. This damage is often due to high blood sugar levels. Physical trauma is the most common cause of injury to the nerves. This can include car accidents, falls, or fractures. Inactivity, or holding still too long in one position, can also cause neuropathy. Increased pressure on the median nerve, a nerve in the wrist that supplies feeling and movement to the hand, causes carpal tunnel syndrome. This is a common type causes for peripheral neuropathy. Alcohol can have a toxic effect on nerve tissue, putting people with severe alcoholism at a higher risk of peripheral neuropathy. Exposure to toxic chemicals like glue, solvents, or insecticides, either through chemical abuse or in the workplace, can also cause nerve damage. Additionally, exposure to heavy metals such as lead and mercury can also cause this condition. Certain viruses and bacteria directly attack nerve tissue. Viruses such as herpes simplex, varicella-zoster virus, which causes chickenpox and shingles, and Epstein-Barr virus damage sensory nerves and cause intense episodes of shooting pain. Bacterial infections such as Lyme disease can also cause nerve damage and pain if they aren’t treated. People with HIV or AIDS can also develop peripheral neuropathy. Recent research in The Journal of Family Practice also suggests that statins, a class of drugs used to lower cholesterol and prevent cardiovascular disease, may also cause nerve damage and increase the risk for neuropathy. Your doctor may also order a CT scan or MRI to see if anything is pressing on a nerve, such as a herniated disk or a tumor. Sometimes your doctor will order a nerve biopsy. This is a minor surgery that involves removing a small amount of nerve tissue that they can then examine under a microscope. Electromyography can show problems with how your body’s nerve signals move to your muscles. For this test, your doctor will place a small needle into your muscle. Your doctor will then ask you to move your muscle gently. Probes in the needle will measure the amount of electricity moving through your muscle. This test may feel like you’re receiving a shot. Sometimes the area becomes sore for a few days afterward. In a nerve conduction study, your doctor places electrodes on your skin. They then pulse tiny amounts of electricity through your nerves to see if the nerves are transmitting signals properly. This procedure is slightly uncomfortable while it’s happening, but it shouldn’t hurt afterward. 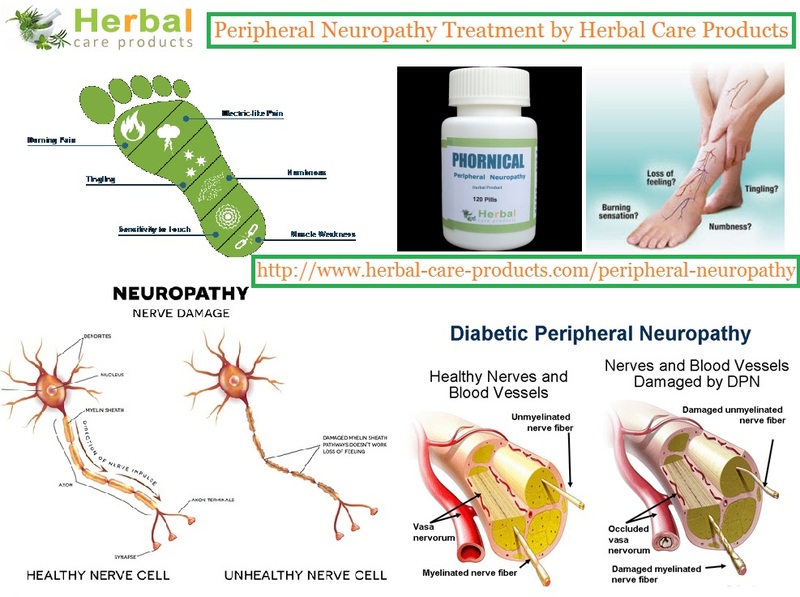 What are the treatment for peripheral neuropathy? The treatment for peripheral neuropathy is based on treating the underlying disorder. If diabetes is the cause, making certain that the blood glucose is controlled is important. If a vitamin deficiency is causing the problem, then correcting the deficiency is the treatment of peripheral neuropathy. Many treatments can bring relief and help you return to your regular activities. Sometimes a combination of treatments works best. 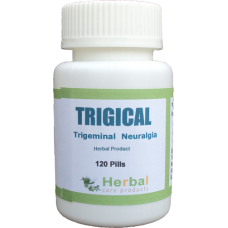 Peripheral neuropathy natural treatment by Herbal Care Products.Over-the-counter (OTC) pain medications like acetaminophen (Tylenol) and nonsteroidal anti-inflammatory drugs, such as aspirin and ibuprofen, can be very helpful in controlling moderate pain. If you take them in excess, these drugs can affect your liver or stomach function. It’s important to avoid using them for an extended period, especially if you drink alcohol regularly. Your doctor can use several medical peripheral neuropathy herbal remedies to control the symptoms of this condition. Plasmapheresis is a blood transfusion that removes potentially irritating antibodies from your bloodstream. If you get a nerve block, your doctor will inject an anesthetic directly into your nerves. Transcutaneous electronic nerve stimulation (TENS) doesn’t work for everyone, but many people like it because it’s a drug-free therapy. During TENS, electrodes placed on the skin send small amounts of electricity into the skin. The goal of this treatment is to disrupt nerves from transmitting pain signals to the brain. These casts provide support for the part of your body that’s uncomfortable. This can relieve pain. For example, a cast or splint that holds your wrists in a proper position while you sleep can relieve the discomfort of carpal tunnel syndrome. Moderate, regular exercise can also help lessen discomfort. If you drink alcohol or smoke, consider cutting back or stopping. Both alcohol and tobacco aggravate nerve pain and can cause nerve damage when used for long periods. Install handrails in your bathtub or shower. Use bath mats that can prevent slipping. Don’t stay in one position for too long. Get up and move around a couple of times each hour. This is especially important for those whose work involves sitting for long periods at a desk. If your neuropathy is due to an underlying, treatable condition, you may be able to stop your peripheral neuropathy by treating the larger problem. However, if this isn’t the case for you, you can successfully manage the symptoms of your peripheral neuropathy. Speak with your doctor to determine the best medical treatment for you, and explore alternative and self-care options that can supplement your medical care. If you have diabetes, take special care of your feet. Wash and inspect your feet daily, and keep the skin moist with lotion.